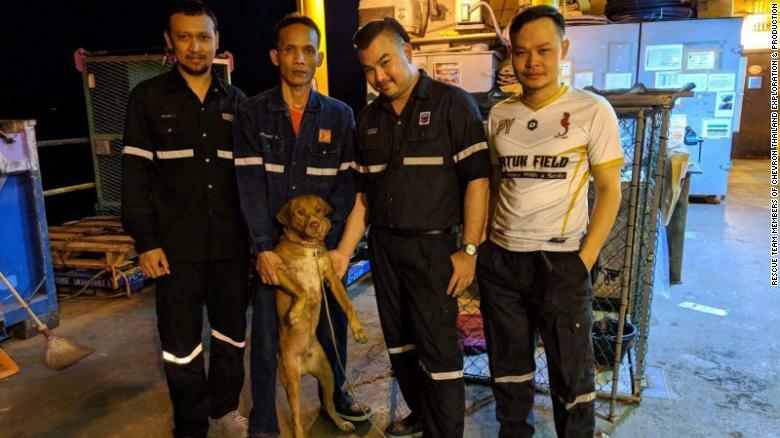 Workers on an oil rig some 130 miles (220 kilometers) off the coast of Thailand found an unexpected new friend swimming nearby: a dog. The brown canine was found paddling near the rig, cold and shivering, with no indication of how he got there. 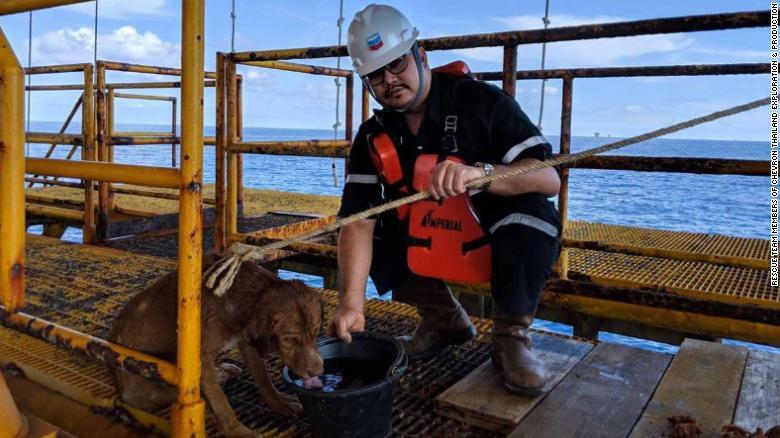 Rig worker Vitisak Payalaw, an offshore planner with Chevron, told CNN that fellow staff members spotted the dog swimming towards the platform on the afternoon of April 12, and held out a pole for him. But, buffeted by the waves, he was unable to climb up, his grasp repeatedly slipping. Payalaw described how the dog simply held on silently, looking up at the workers. “His eyes were so sad. He just kept looking up just like he wanted to say, ‘please help me,'” he said. Boonrod was so exhausted that it couldn’t move much. The workers then decided to throw a rope around the dog and pull him up. Boonrod has returned to the mainland to be looked after by a charity. 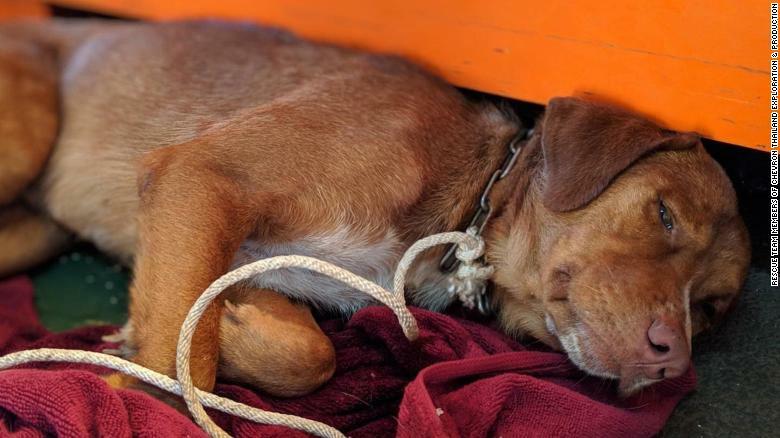 Boonrod — an aspin, a breed native to the Philippines — was returned at around 10 a.m. local time Monday to the mainland, where he was taken in by the charity Watchdog Thailand. The dog was then transferred to an animal clinic in Thailand’s Songkla province, the charity said on its unofficial Facebook page. Payalaw said on his Facebook page that Boonrod would be given temporary shelter at a dog home until he can regain his strength. If no one comes to reclaim Boonrod, Payalaw said he would adopt him.